The space underneath of a pine tree is one of the most difficult places to garden, sometimes it may seem impossible. The extreme microclimate created underneath can challenge even the most experienced gardener. It is tough, but it is by no means impossible. Carefully chosen plants, coupled with a few secrets, is all one really needs to green up an otherwise brown and lifeless corner of your yard. Some of the challenges presented under a pine tree include extreme shade, lack of moisture, a heavy layer of pine needles, and rarely, extreme acidity. In all honesty, the biggest challenge is a lack of moisture, as a pine tree can create a solid rain shield underneath its branches. There are many plants that can survive with minimal water, and a lot more that can survive arid conditions after a year or so of establishment. Sedums are little cactus-like plants that never need watering once they are growing on their own, they do not grow as densely in the shade, and they do not flower as profusely… But they will be there for years to come. Acidity… Is really only a problem in myth… As pine needles… Although acidic in nature… Take a really long time to break down… Unless you are standing in an old growth pine forest that has been around for hundreds of years, I doubt that tree has had much of a chance to drastically alter the pH of the soil. A cheap pH meter available at any garden supply center will answer this question for you, I recommend having one regardless of where you are gardening. 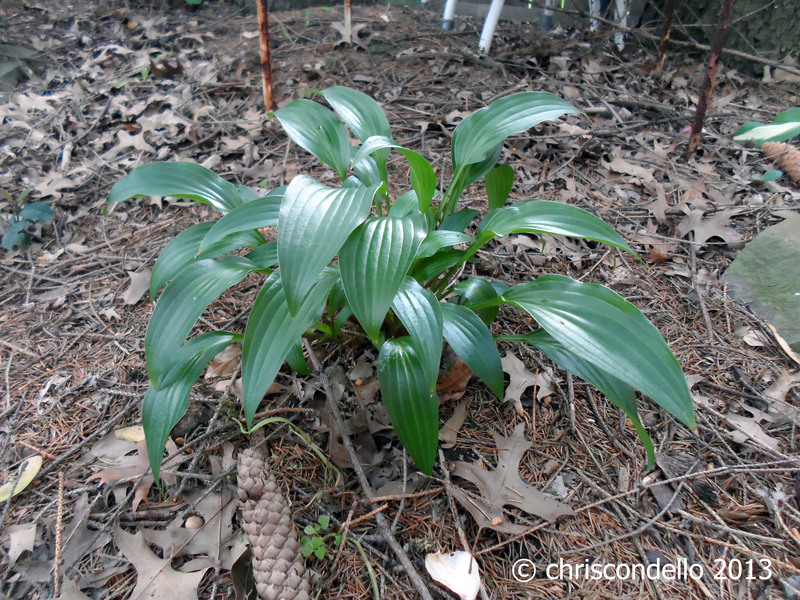 Hosta – I wouldn’t choose the exotic varieties as they can be finicky. Go to a big box store and purchase the largest plants possible as they will grow very slowly, it’s best to just buy them the size you want them. 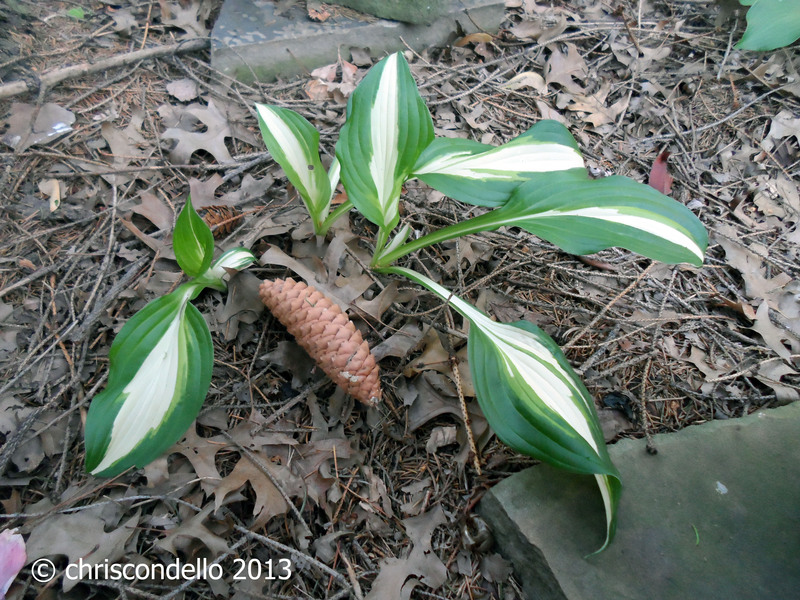 Hosta can often be easily obtained from a friends garden, in my neighborhood they grow behind every abandoned house, I just move them to the front yards. Bleeding heart – These plants really do not need water other than the first week or two after planting, they can handle some pretty extreme conditions. Many of the plants in this family form fern leafed mounds of green, choose the low-growing, spreading types and let them do their thing. Rhododendron – One of my favorite ornamental shrubs,we had one in our front yard that was always beautiful this time of year. Not only does this plant tolerate acidity, it is also very shade tolerant. Hydrangea or Oak leaf hydrangea – Very shade tolerant plants that grow well under conifers, also drought resistant once established. Wild geraniums – This family of plants will grow anywhere, under almost any circumstances. 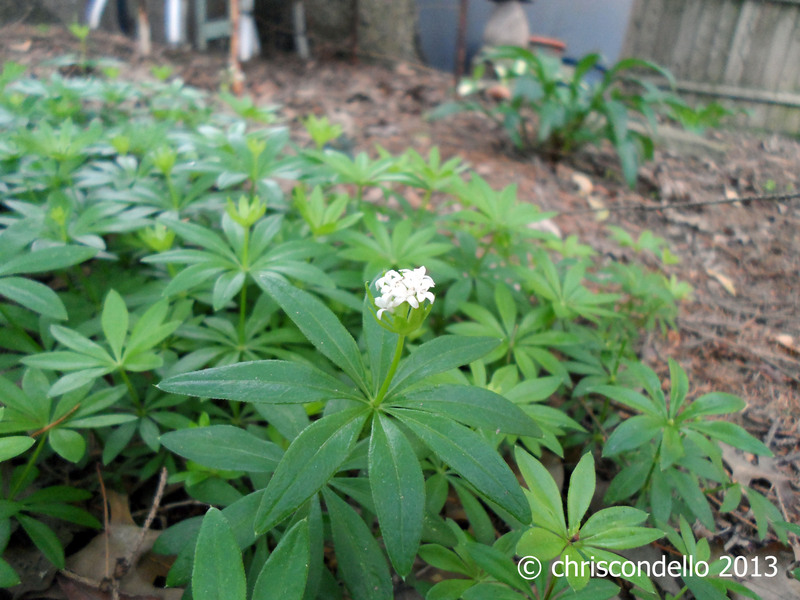 Many of them have scented leaves that deter deer, and some flowers are edible. 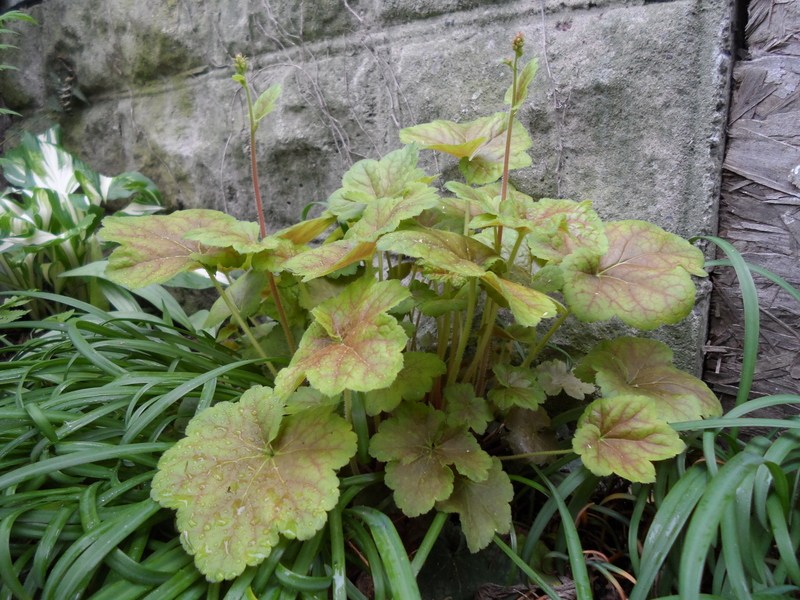 Heuchera – One of my all time favorite plants… It will do great in any amount of light… But they really shine in full shade… Many of the newer cultivars come in bright leaf colors, these are designed to glow in the shade. This entry was posted in Gardening, Guerilla Gardening, Permaculture, Photography, Trees and tagged arid, conifer, fern, gardening under conifer trees, gardening under pine trees, geranium, guerrilla gardening, heuchera, Hosta, microclimate, permaculture, pH, pine, plants for under pine trees, shade gardening, tree, urban garden. great article.. thanks for sharing such a nice post.. waiting for other post related to trees. ohhh you have listed great plant’s names to plant.. thanks for sharing such a great information. Wonderful article. Thank you! I have grass growing very well under my very tall and mature…and lovely… Scotch pine. I would like to plant azaleas and sweet woodruff under it. I’m not sure how to remove the grass first, though. I was going to smother it by laying cardboard and mulch down for a year, but i’m afraid that I will harm the trees roots. Any thoughts? The settlement’s name I live in translates into “Friars’ Pine Forest”. Though mostly sub-urbanized, there are still areas with several pine trees from the past century’s forest. This article will be an asset for the transition initiative. A huge thanks from Portugal. Very nice article. Have downloaded the info to have a look see. Although I don’t have pine trees in the garden, there are enough of them in the plantations, there is a huge avocado tree under which things battles to grow on account of the shade. Thanks for this one. This is the information that I have long been searching for as I also have pine trees at home.